Camping with friends and family is the perfect way to spend the summer vacation. However, it’s important that everyone has a comfortable spot to sleep, eat, and play in order to be a happy camper during the trip. For stress-free family camping, a bunkhouse RV provides the extra space you need to stretch out and relax. 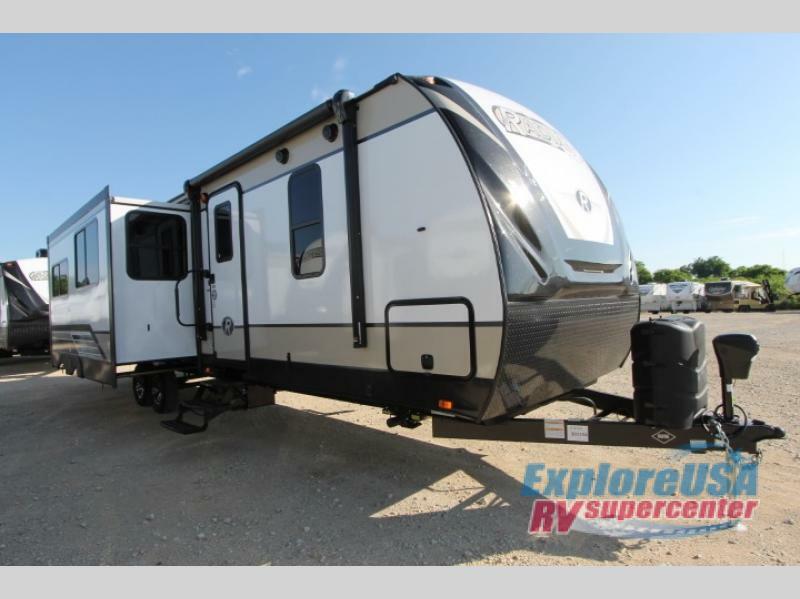 At ExploreUSA RV, we have a huge selection of Bunkhouse RVs for Sale. 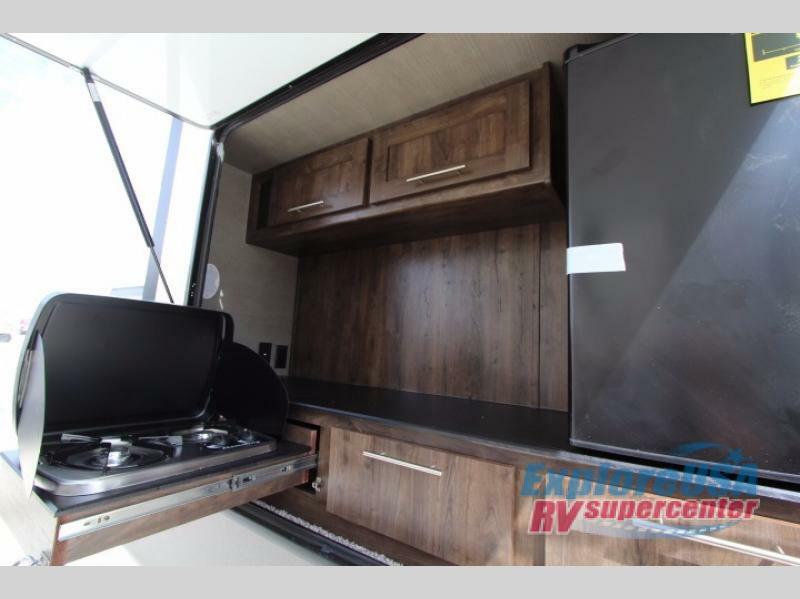 Save $1000s on top RV brands and popular bunkhouse RV floorplans. 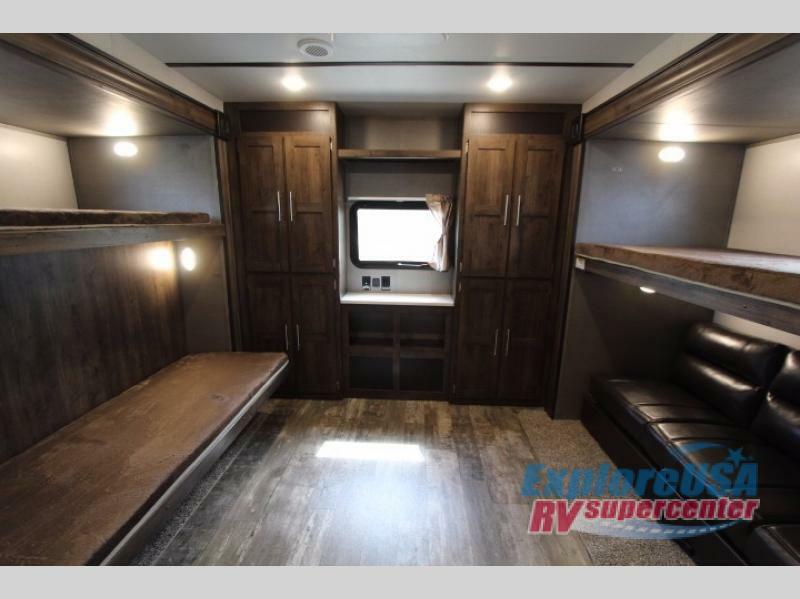 Here, we’ll take a look at some of the many different styles of bunkhouse RVs on the market today. There are a number of different features available depending on your family’s travel needs. If you are planning a camping trip with a large group, there are a number of bunkhouse RVs that can comfortably sleep up to 10. 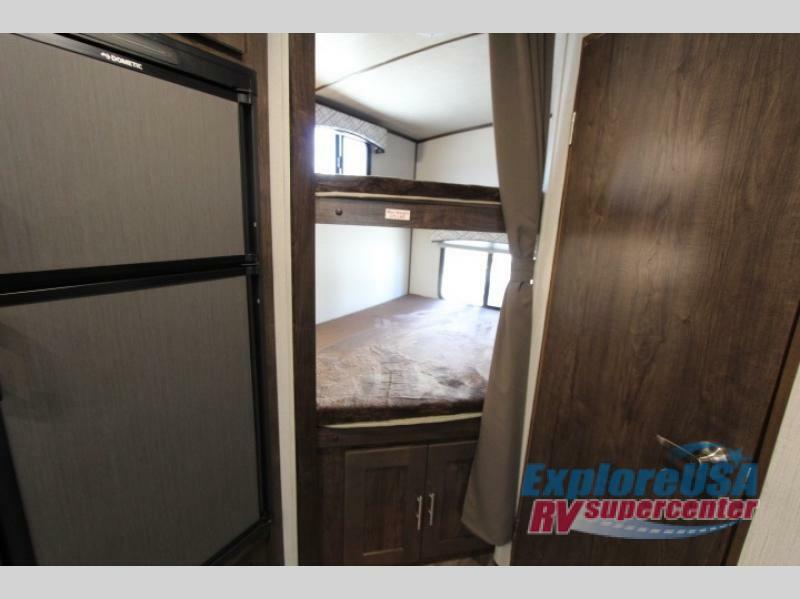 In addition to the bunk beds, the dinette and sofa quickly and easily turns into extra sleeping spaces. Check out the affordable CrossRoads Longhorn 328SB which can sleep 10. Kids love having their own special space to play and unwind. Look for a floorplan that has a separate room for the bunk bed area. The Cruiser Radiance 28QB is an excellent example of a bunkhouse travel trailer that includes a private room for the kids. Many floorplans include an outside kitchen fully equipped with a refrigerator, cook top and sink. Enjoy easy, breezy family picnics using this super handy feature. Hot snacks and cold drinks are just an arm’s length away! For a step in luxury and residential comfort, take a look at our large selection of fifth wheel bunkhouse models. 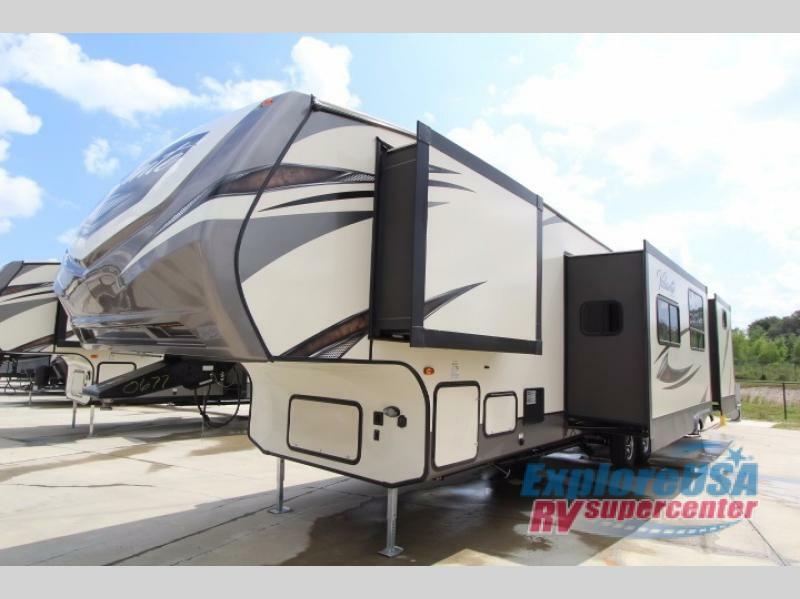 The CrossRoads Volante 360DB has it all, a private bunkhouse room, outdoor kitchen, bath and a half, and U-shaped dinette all at a price that’s hard to beat! Contact Us at one of our 9 ExploreUSA RV Dealer Locations In Texas. We’ll help you find just the right RV brand and bunkhouse floorplan that’s right for you and your family’s camping needs!